The Manhattan Beach Yacht Club would celebrate its inauguration on 18th October, Saturday from 8 am to noon. 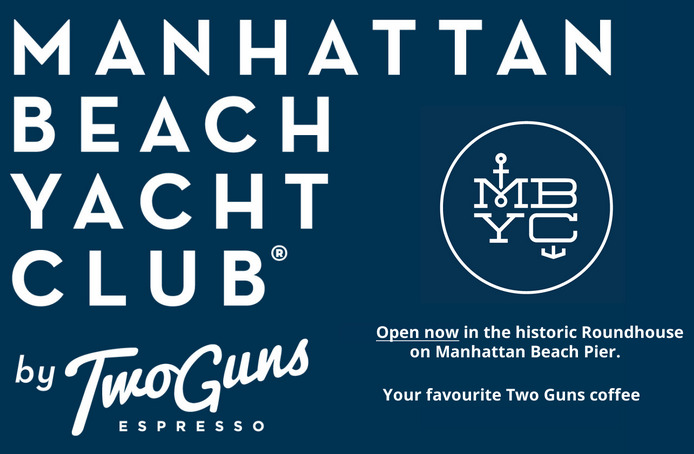 The coffee shop of Two Guns in Manhattan takes over part of Roundhouse at the end of the dock. Craig Oram and Andrew “Stan” Stanisich, the Two Guns owners, wanted to elaborate and Ted Brown, the Two Guns manager, joined them as a partner. Ted Brown told that it was perfect because they could not ask for better real estate than the Roundhouse. Following the whole approval process, the brand new owners got the keys in September. They have started their venture less than 3 weeks, but they are expecting to get the word out to locals with the grand opening on Saturday that would feature free pastries and coffee. He added that tourists are not really an issue, and he even considered listing it on a yacht charter website. They are here from 11:30 onwards every day, but of course they wanted locals because they are the ones that would keep coming back. They already have quite a few regulars from Two Guns coming down because it is either on their exercise route or they could ride instead of drive. They sell a lot of coffee in the winter. At present, they are serving pastries which are freshly baked every day at the Two Guns. One of their signature coffees include Flat White, which is a New Zealand style latte along with 2 shots of espresso. Ted added that they are going to listen to what people want and tailor ourselves a little bit to what people are asking for, but it is still the great coffee they have at Two Guns.